Bob Vila responds to a reader who'd like to know how to get rid of the smell of cigarette smoke. To submit a question of your own, visit the Forum! 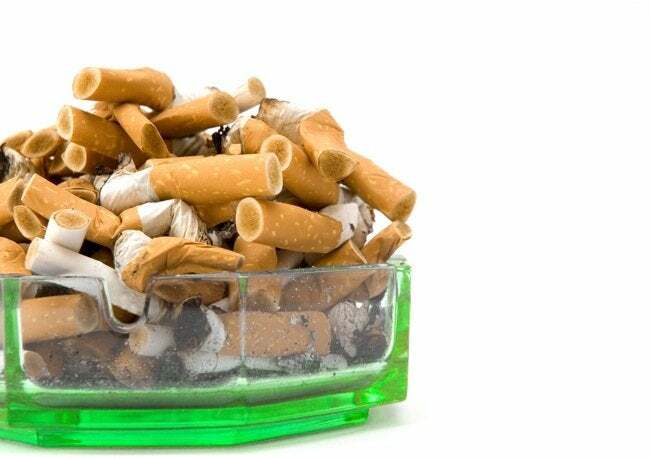 The smell of cigarette smoke can affect virtually every part of a home, including elements that cannot be removed—or at least not easily, and only at considerable expense. In the case of walls, ceilings, and floors, I recommend washing twice with a solution of TSP and water. (Once the surfaces have been washed, it’s a good time to paint. Use a good primer to maximize chances that your paint job seals off any lingering smell.) After you’ve dealt with all surfaces, move on to cleaning other washable items, like the windows, light fixtures, and cabinetry. Wash them all with the same TSP-and-water mixture; repeat, if necessary. Without a doubt, what I am describing here is a labor-intensive process, but there are no shortcuts. Don’t even think about trying to mask the odor with air freshener. If it works at all, it will do so only temporarily. And in the bargain, you may be adding toxic chemicals and/or volatile organic compounds (VOCs) to the indoor air, which can irritate eyes and throats, and exacerbate respiratory issues for allergy and asthma sufferers. Hoping to save the wall-to-wall carpeting? Have it professionally cleaned. Be aware, however, that if the odors are too deeply embedded in the carpet fabric, even the pros may not be able to eliminate them. It’s best to advise the cleaning technicians of your concerns, as there are special detergents formulated to get rid of smoke smell. Then cross your fingers. Alternatively, rent a carpet cleaner and do it yourself. Results, of course, vary. Last but not least, change your furnace and air conditioning filters regularly. Consider springing for a more expensive, higher-performing product, one with a MERV rating of 6 or higher, but review the manufacturer’s filtration recommendations before making a purchase. Though odor-reducing filters are available, they cost more than other types and must be changed more frequently. But they’re worth a try if you’re desperate.